Lort Smith — The Good Cause Co.
Lort Smith are an animal hospital charity based in North Melbourne. They provide discounted animal health services for those with lesser means, adopt out animals for people who can no longer care for their pets and deliver a pet therapy program for people in complex, traumatic or isolated situations. Their ABN is 87004238475. They are a registered charity with the ACNC. Lort Smith want to "improve the health and happiness of animals and the people who care for them." Their vision is that "the communities we serve benefit from world class animal healthcare and wellbeing." • Hospital, which provides veterinary care irrespective of a person’s circumstance. • Adoption Centre, which provides sanctuary, rehabilitation, welfare and a new home for animals. • Community Outreach Programs, which promotes responsible pet ownership. Should I donate to Lort Smith? We believe that Lort Smith is likely to be trustworthy. It is clear how donations are used and who the charity is run by. Lort Smith gives a comprehensive overview of their financial position. It’s clear who is accountable for Lort Smith. They describe leadership roles and how they monitor performance. They also have policies that avoid the misuse of funds. Lort Smith also demonstrate basic signs of effectiveness. They describe their strategic objectives and present evidence that they evaluate performance at the strategic level. the results of their activities in the last reported financial year. We have investigated the finances, operations and results of Lort Smith and present our evaluation in a report that you can download now. 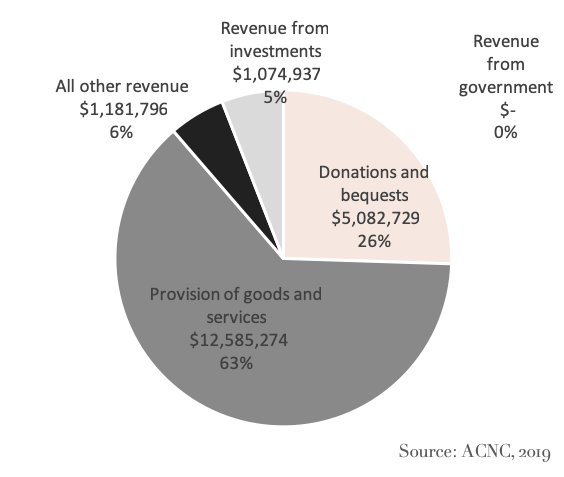 This evaluation shows you how your donation is spent, who is running the organisation and whether there are any potential conflicts of interest. It also examines whether the charity can demonstrate that they are delivering meaningful results. Finally, it contains our recommendations for potential donors and the reasoning behind them. Find out whether Lort Smith is the charity for you. In this evaluation we describe what this charity does and why, what you should know about them, how your money is spent, who is running the organisation and whether they deliver results. Last of all, we recommend whether you should donate to them based on the findings of our analysis. We are providing this report for free so that you can get an idea of what all our analysis’ look like.